If there is one thing I have found that all people have in common it is the desire to get something for free or on the cheap. This is no exception when it comes to websites and small businesses so I have put together a list of 5 ways to promote your website at minimal to no cost to you. At this point it shouldn’t be a secret that those who blog regularly experience a huge increase in web traffic. If you have a blog it is important to make sure you update it at the very least, once a month, but ideally even more than that. There is nothing worse than a blog that hasn’t been updated… it makes the visitor wonder if you are still in business or if you are just lazy. When you blog, make sure you posts are worth reading. Don’t simply blog for the sake of blogging. A good rule of thumb is to ask yourself if you would enjoy or benefit from what you are writing about. If the answer is Yes then you are on he right track. There is no shortage of online forums and niche interest communities that are used everyday by thousands surfing the web. If you are an expert in a particular industry you might want to consider joining a few of these groups, especially local ones, and offing up a little advice to the community for free. 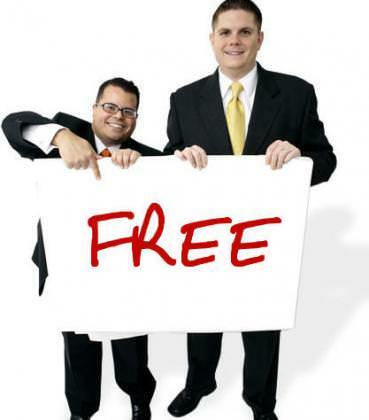 Yes, it is true, you will be “giving away” free advice but it will be worth it in the long run. By doing so you will establish yourself as an expert and people will in turn come to you for future advice at which point you can charge for your services. If you choose to go this route you should always make sure to link back to your website either in your signature or after you provide some helpful advice. DO NOT just post a link to your website without actually providing something to the community. 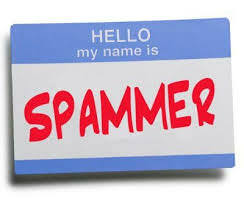 Online communities are used to spammers in their forums and they will immediately blacklist you or worse if you come off as a non-contributing spammer. Social Media. Duh. If you don’t have a Facebook Page for your business, get one. Link to your website from your personal profile on all your social media accounts and try and setup business pages where it makes sense. Try to regularly update your social media profiles with relevant, helpful tips and information for your fans. Just like online forums and communities, you do not want to come off as spamming your fans. Offer freebies, give aways or contests. Raffle off a Starbucks card each week. Give away a free hour of consulting once a month. Do whatever it takes (within reason) to get people excited about your product. Your email signature should ALWAYS be promoting your business and website. Think of how many emails you send out every day. That is FREE MARKETING!!!! Let’s not get confused, though. Coming off as spammy can also happen in your email signature. Ever get an email from a relator or mortgage lender? Spammy. Keep your email signature simple. A good rule of thumb is to only have ONE link in your signature. I don’t need to hear about 6 different products you offer every time you email me. Choose the most important message you want to convey, keep it short and simple and give me a link to your website where I can find more information.